The neck is a major component of the nervous system that connects the brain (the main control system) and the body (muscles, ligaments, joint and all other organs of the body) through the spinal cord, nerve root, nerves and other parts of the nervous system. The neck is a sophisticated structure consists of soft many tissues. Some- vertebrae, muscles, ligaments, capsule, discs, joints supports the head mobility and stability, some are the very connection between the head and the central nervous system and vascular supply and the rest of the body . The pair of arteries that nourishes the subconscious brain is located in canals inside vertebrae in the neck. When you recognize that the neck serves as the pipeline for blood flow and nerves to the brain, you begin to fully appreciate its importance in human physiology. Neck pain is a common malady that needs to be addressed promptly. 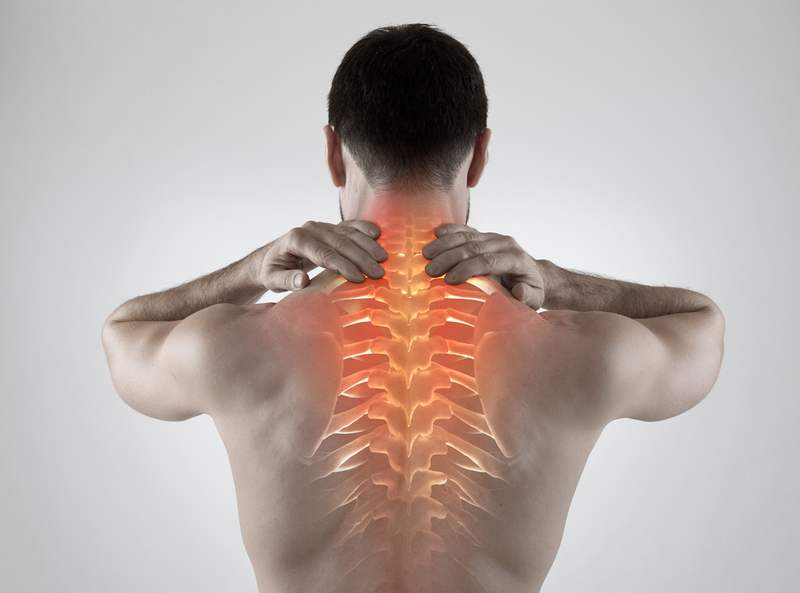 Many of our patients at West Hartford Chiropractic came to us, initially, due to some form of neck pain. The causes of neck pain generally fall into four broad categories. Disease: Diseases like meningitis, arthritis, or even cancer can be the source of discomfort in the neck area. Trauma: Neck pain is frequently the result of some form of injury. Neck trauma can occur from a fall, sudden accidental movement, or even by an incorrect sleeping position. Degenerative Conditions: Over the course of time, neck tissue can degenerate due to aging. A common cause of neck pain is the degeneration of a cervical intervertebral disc. Lifestyle: Neck pain is often caused, simply, by how we live our lives. Many spend hours daily leaning over a computer or holding a cellphone between their shoulder and ear. Neck pain can also be caused by poor posture and poor ergonomics. Nutrition also has an impact on pain in the body including the neck. Determining the precise cause of neck pain is absolutely critical prior to determining treatment. Because the the neck is such a vital part of the body's entire neuromusculoskeletal system, problems in the neck area can manifest themselves elsewhere. These include elbow pain, chest pains, shoulder pain, arm pain, pain in the fingers and more. A staggering 85% of headaches and migraines, for example, are either a direct origin or secondary origin of neck issues. When the root cause of neck problems are uncovered, natural chiropractic treatment can be prescribed to better resolve the pain wherever it occurs. This therapy attracts cells of the connective tissue to grow new tissue, such as blood vessels, which brings more blood supply, oxygen and nutrition to the affected tissue. This promotes healing. A chiropractic adjustment can help better align the vertebrae, muscles and nerves in the neck and back, placing the body in better position to help heal itself. This simulates the body's natural 'stretch reflex'. At a frequency of 20 to 50 muscle contractions a second, the machine can produce up to 3,000 contractions a minute. This helps patients achieve results from conventional exercise in a fraction of the time. This form of therapy is a gentle, noninvasive form that focuses on the bones of the head, spinal column and sacrum. Releasing compression in these areas serves to alleviate stress and the resulting pain. This form of chiropractic care involves the use of a hand held instrument to delivers precise pressure to specific areas of the body. This method focuses on the muscles that control balance in the spine and neck area. Gentle pressure, professionally applied in the appropriate spot, moves the spine toward balance. If you are experiencing neck pain, or neck-related pain, make an appointment with Dr. Moshe Laub and the professional team at West Hartford Chiropractic today. Call us at (860) 232-5556. Our offices are located at 345 North Main Street, Suite 322 in West Hartford, CT. We are proud to serve the West Hartford and surrounding communities including Simsbury, Avon, Canton, Hartford, Bloomfield, Farmington, Glastonbury and Newington.